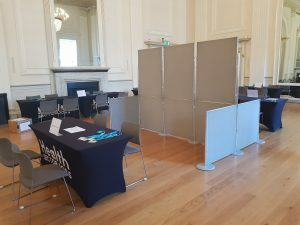 As we’ve been lazy in updating our project history since the summer, below are some images of our customers’ hires from April until early November 2018, including some excellent examples of how versatile our hire system is, and why our customers keep coming back to us to ensure their events are a success with no stress. 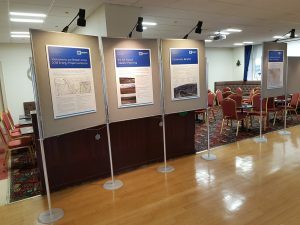 We always have additional panels on hand in case needed, can alternate between portrait and landscape at any time, join panels together at any angle, or set them up freestanding – full flexibility which we’ve found our customers find invaluable so that they don’t need to worry that they can’t adapt when problems arise. 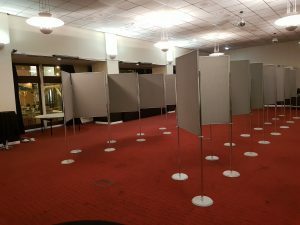 Which often happens. 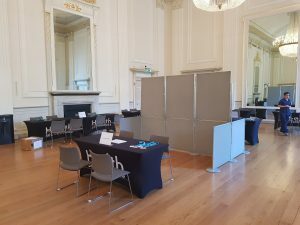 Our customer asked us to set up the display panels for the week, and then collect their whole exhibition equipment and valuable artefacts, which we returned to them in Edinburgh. 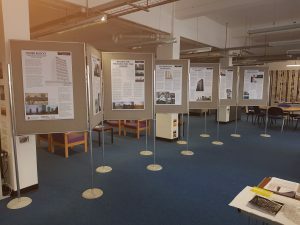 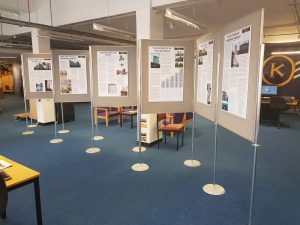 It was a pleasure to help with what was an interesting exhibition on Greenock’s history. 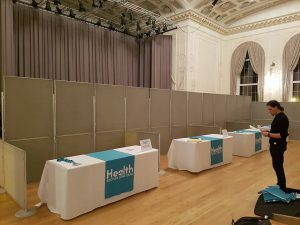 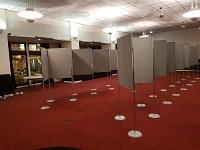 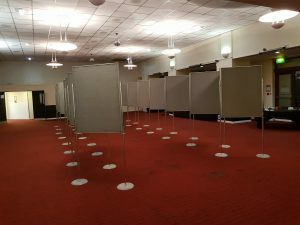 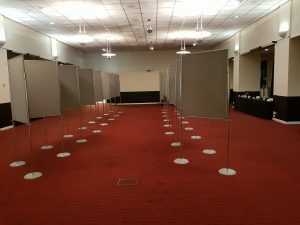 Below is a reminder of the previous year’s event, which is proving to be very popular with exhibitors and visitors in Health Sector Employment throughout the UK and Ireland, and how we were able to form double sided exhibition space stands for exhibitors down the centre of the room. 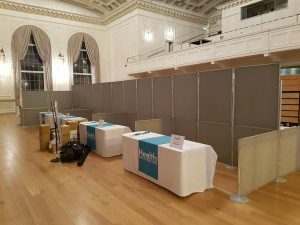 Hopefully this brief summary of some of our hire work this year will demonstrate that we can usually help with any of your poster board requirements, so please don’t hesitate to contact us so we can advise further.